The iPad, while not as bright as a chartplotter, can face up to the glare onboard. (top right) A Bad Elf dongle provides usable position data. You can navigate with just a tablet and apps—but should you? Got a call from my old friend Steve a couple of weeks ago. He’s planning an inn-to-inn cruise on the Erie Canal and Finger Lakes this summer using iPad-based navigation, and asked me if I wanted to take a boat ride to check out his new setup. Why an iPad, when there are so many affordable chart plotters around? Steve’s boat has zero security for electronics, and any larcenous bozo could clean him out in a second if he left expensive stuff onboard—but the iPad is easy to remove and stow securely in the hotel room every night. Many folks are in the same boat as Steve, so could the iPad be an answer for them, too? 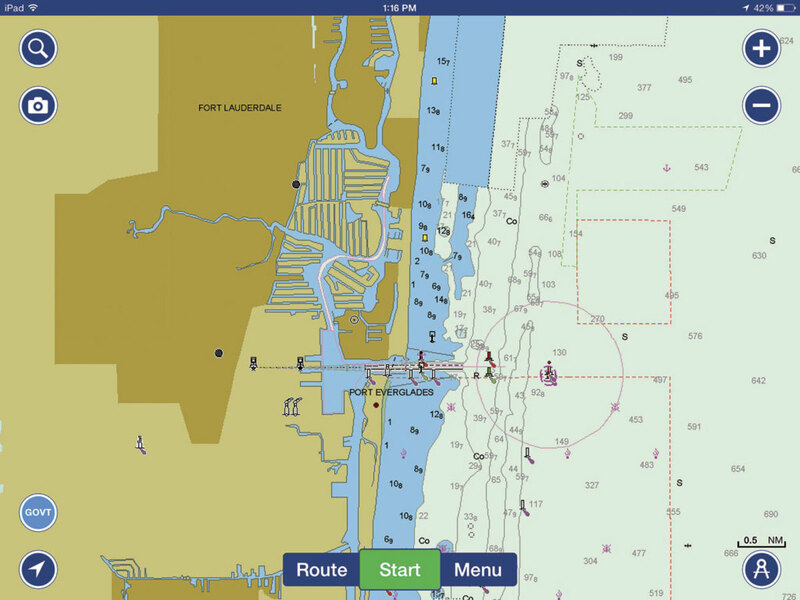 Garmin’s BlueChart Mobile helps route planning with loads of information. 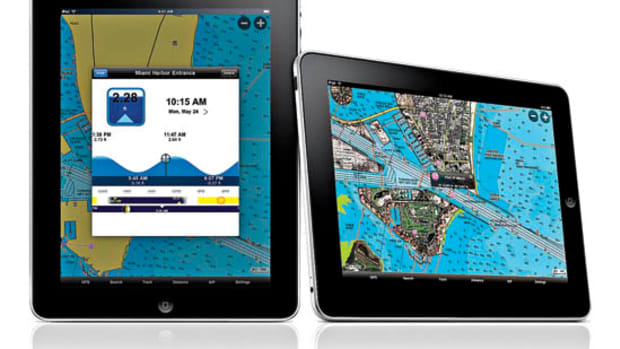 Before casting off to meet Steve I stopped at the Apple App Store, where searching for “marine navigation” brought up many apps for chart plotting, some with names we all recognize, including Garmin and Navionics. (There are nav apps for Android tablets, too; look for them on Google Play.) Most apps are free, but charts cost extra; even so, a full-featured app with complete charts of the U.S. will relieve you of less than $50. A nav app will let your iPad use the same charts as a “real” plotter uses, receive signals from the same GPS satellites, and calculate positions with the same accuracy, at least if you add an external GPS receiver (around $100 for one that’s perfectly adequate, and $200 for a fully featured Bluetooth model). If you already own the tablet, you’re talking peanuts here compared to investing in a comparable standalone plotter. 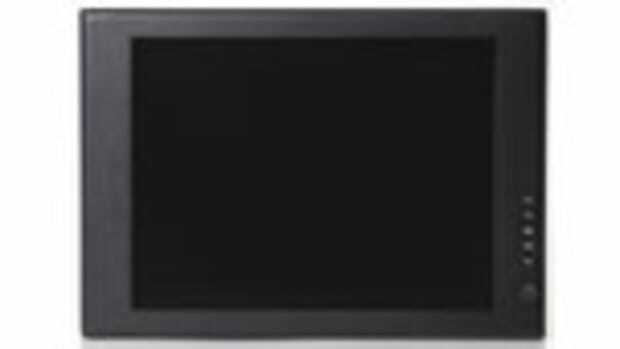 Garmin’s nice GPSMAP 7607, with a 7-inch color touchscreen, lists for $1,500, including BlueChart g2 charts. It’s at the low end of the price range for color plotters, and its display doesn’t match the size, color, and definition of the iPad. 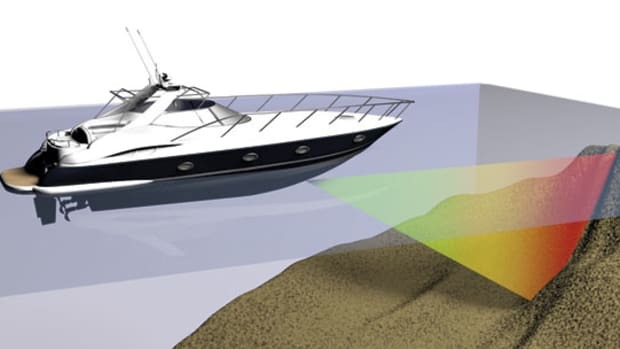 But you can pump in almost any NMEA 2000 data like AIS, depth, engine gauges, and more, and Ethernet feeds from Garmin radars, fishfinders, and so forth, making the GPSMAP 7607 a fully functioning member of the nav station. 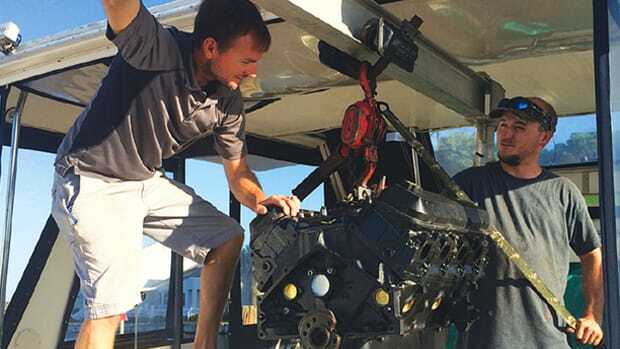 But on a small boat, it’s still subject to theft, and you can’t take it home to set up waypoints and routes for your next cruise, or just to play with. Buy a new iPad, $500 to $700 for the current iPad Air 2 with Wi-fi, and you’re still ahead of the game, just not as much. Or you can do what Steve did and buy an older iPad 2 for a couple hundred bucks, still capable of running the iNavX app he loaded onto it ($50 including NOAA raster charts; no free trial, though). 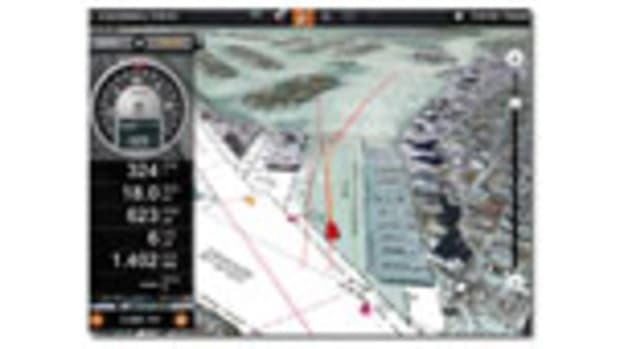 The Navionics Boating app can also add in user-generated data for additional “local” knowledge. I did a bit of exploring of my own. I had an iPad 3, but no nav apps. 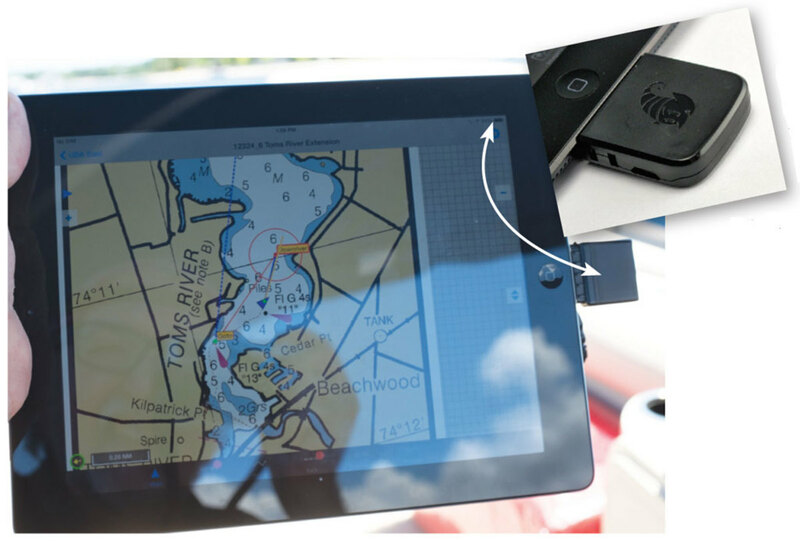 I tried three: Garmin BlueChart Mobile, Navionics Boating HD, and iSail GPS. 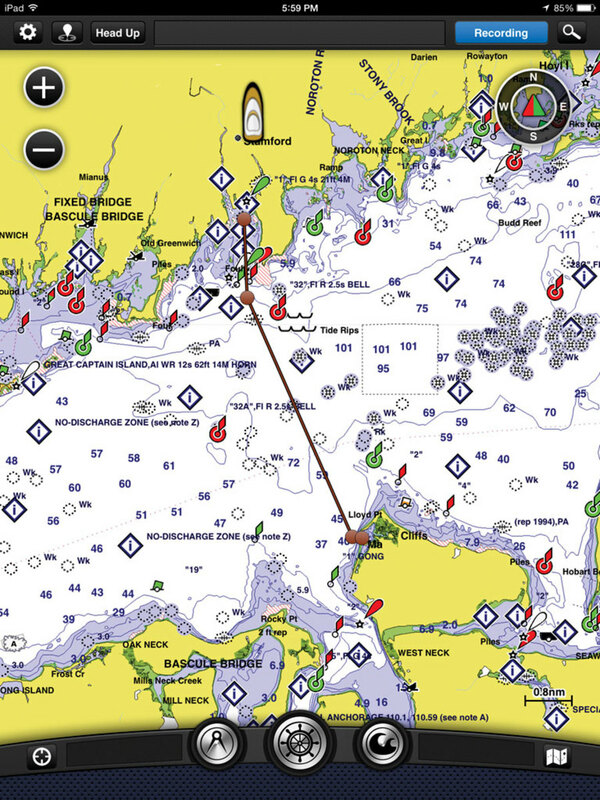 The Garmin and Navionics apps are free, but need charts to work properly. I bought the BlueCharts to work with the Garmin app; complete U.S. coastal coverage costs $30. BlueChart Mobile is less convenient underway to find bearing and distance to waypoint; it’s primarily planning software that meshes nicely with Active Captain (www.activecaptain.com), a Wiki-style web community where skippers upload info about marinas, local knowledge, uncharted hazards, missing buoys, and so forth. It’s only as good as the folks who contribute, but overall it’s a handy feature if you use it with a grain of salt water. The Navionics app is also free, and includes usable charts, but getting the most from it means investing $50 for the U.S. chart package. 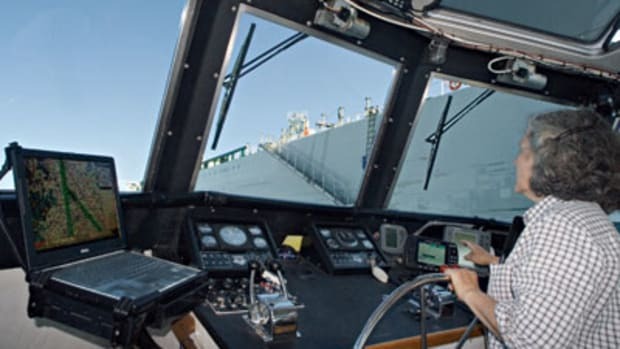 I slightly preferred the Navionics app from a user standpoint, but for my short cruise with Steve, not enough versus the Garmin to spend the extra $20. If I were using it every day, I’d probably have both apps, fully charted-up, on my iPad. The iSail GPS app costs $8 with raster-scan NOAA charts for the U.S. It’s a decent chartplotter, but you have to change charts manually as you cruise—the electronic equivalent of pulling the next one from the chart drawer. And that function runs a little slow on my iPad 3, which admittedly is getting somewhat long in the tooth: It’s from early 2012—which is considered a lifetime ago in technology years. Bottom line? It’s all a matter of which user interface works best for you. Cellular-ready iPads have a built-in GPS receiver, which will work beyond cell coverage despite rumors otherwise, but experts recommend an external receiver. Steve added a Bad Elf GPS-1000 (bad-elf.com), a $100, matchbook-sized “dongle” that plugs into the 30-pin dock connector on his iPad. Newer iPads have a smaller Lightning connector, and use the Bad Elf GPS-1008 ($130). Both dongles look awfully vulnerable to me: While I was using Steve’s rig I was very careful not to whack it against anything. And unless you add an extension cable, the dongle lives on the iPad, which may not be in the best place for GPS reception when you’re using it for plotting. A Bluetooth receiver can be placed where it gets the best signal, won’t be as susceptible to damage, and makes it easier to waterproof the iPad with a protective case, since there’s no need to keep the connector available. Garmin’s GLO ($99) reads data from both GPS and GLONASS satellites, so it locks onto position faster and holds on better. Garmin says its battery lasts 12 hours, or you can plug it into 12-volt power. Spend a little more—say, $199 for the Bad Elf GPS Pro—and you’ll get more functionality: The Bad Elf displays speed, heading, position, GPS status, and altitude on its LCD screen. It’ll feed GPS data to five devices at once, has an internal battery the company says will last for 16 hours, can log long trips on its own, and comes with a 12-volt charger and cord. 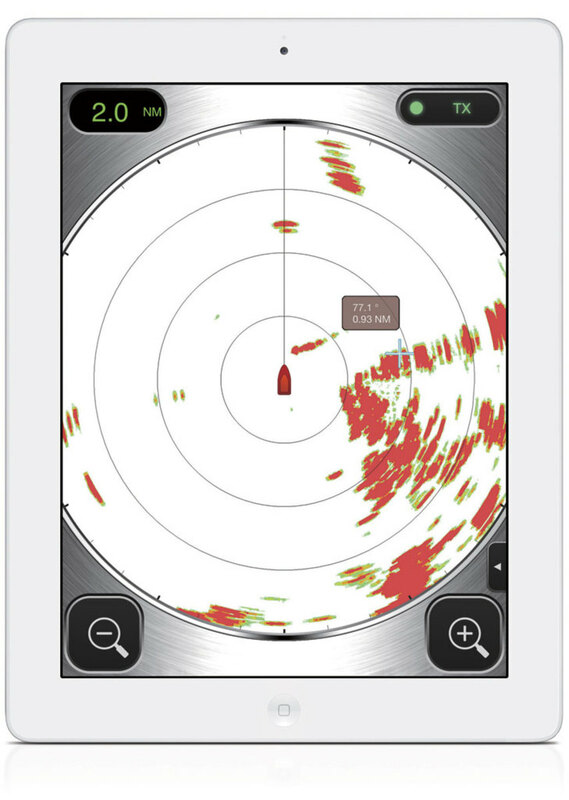 Chartplotting functionality has proven useful on the iPad and other tablets, but these devices leave good navigators with one arm tied behind their backs, especially those that use radar like another set of long-range eyes to spot landmasses and navaids, to calculate ranges, and more. Here’s why: The iPad doesn’t have ports to accept hard-wired data streams from other devices, such as a radar or sounder; so it’s limited to those manufacturers who make this proprietary data stream accessible on Wi-Fi, since it only has one port to receive a plug. Everything else has to be wireless. Enter Furuno’s 1st Watch, the world’s first wireless radar, according to the company. Install the 4-kilowatt, 36-mile 19-inch radar Sensor DRS4W ($1,695) and link it, wirelessly, with your iOS device (no Android version) using the associated Furuno app. There’s also a simulator app so you can try before you buy; both apps are free at Apple’s App Store. The 1st Watch sensor will talk to two devices at once, as long as they’re within about 30 feet of each other. It works on the iPhone, but if you’ve ever tried using your iPhone in the sun, you might prefer sticking with the iPad. (An iPhone will work for checking the radar at night or in the fog—conditions when radar is most often employed.) It can even overlay radar images on Nobeltec’s new TimeZero app 2015 (www.nobeltec.com). How does the 1st Watch compare to conventional radar? Furuno’s Model 1835 has similar specs, a 10.4-inch color LCD display, and conventional knob and button controls. 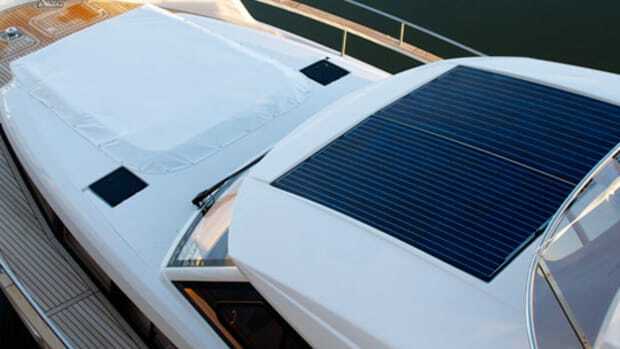 It will accept AIS input and interface with other electronics via NMEA 0183. It’s a nice radar, and one I’d be happy to have as a shipmate—it has loads of features left off the DRS4W. But its list price is $4,895. I can drop several iPads overboard for that price versus the 1st Watch. The dongle worked great for Steve, giving accurate positions that we correlated by bearings, visual means, and simply putting the boat alongside something we considered accurately charted by other means. But when I plugged it into my iPad, it was dead as a dodo: I got a position on the Bad Elf app, but not in any of my nav apps. I was the victim of a software glitch, an issue that’s unlikely with a standalone plotter. The issue here isn’t this particular glitch, but the overall potential for similar glitches popping up again. The iPad has 1,001 functions; there are probably 1,000,001 third-party apps. Is it any wonder there are occasional problems? Software updates are issued frequently to correct these problems, often creating new ones that must be corrected by more software updates. 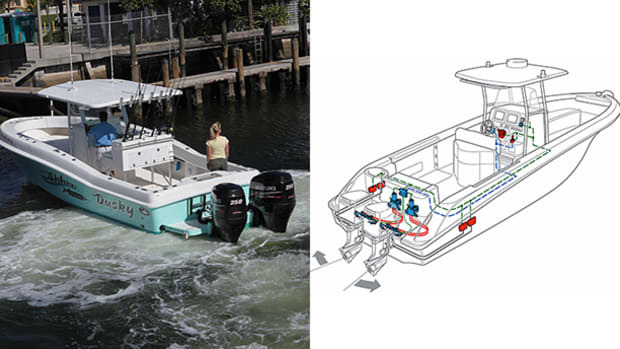 There’s not much chance of this happening with a standalone plotter from Garmin, Raymarine, Simrad, etc. It comes with fully functioning software that lasts the life of the unit and is upgraded steadily. Having one company involved often means greater reliability. Assuming Apple deals with software issues (once I get my iPad working properly with nav apps, I’ll never update software again! ), does the iPad replace standalone chart plotters for some instances of serious navigation? Based on my short-term test, for some people, it sure does. 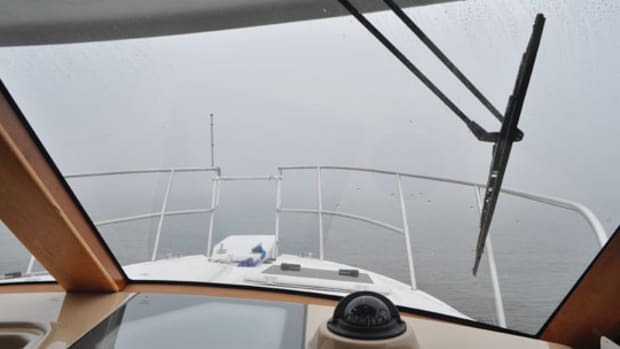 If you want to keep your expensive plotter safe from dockwalking mooks, or want to add plotter function on a tender to get you where you want to go in the fog, or you’re looking for a capable backup system, it’s one way to do it. And when you arrive at your destination, use the iPad to tell everyone where you’re spending the night, send them a photo of your dinner, and then watch a movie online before hitting the sack. I’m expecting just such a message from Steve any time now.